This report has made the deep study on policy environment of rapeseed industry, rapeseed production, rapeseed consumption, rapeseed import and export, development status of downstream processed products of rapeseeds, processing status of key enterprises and development status of relevant industries such as soybeans and soybean meals on the basis of analyzing the development status of rapeseed industry, overviewed the whole rapeseed industry from the macro perspective and made the perspective prediction on future prospect of rapeseeds and rapeseed meal production and consumption and development trend of import and export in China. In recent years, the industrial pattern of rapeseed, rapeseed oil and rapeseed meal in China has taken great changes and the rapeseed and its product price has been increasingly affected by the policies and price changes of other oils and oil seeds. The oil pressing industry in China has excessive capacity. With the constant improvement of enterprise scale and integration, the oil pressing capacity in non-producing area along the coast has been improved greatly, how do the manufacturers and distributors respond to the new changes of the market? The rapeseed and rapeseed meal futures and listing have improved the hedging of the whole industrial chain, which would reduce the enterprises’ risks to certain extent. This report may help people to have the general idea on current status and development of the whole rapeseed industry so as to more accurately take countermeasures. BOABC has always maintained the good relationship with the relevant government authorities and associations and the key national edible oil manufacturers and affiliated enterprises. The strength of these resources has provided the special and precious professional support for drafting this report and guaranteed the accurateness, authoritativeness, scientificalness and perspectiveness of the data as referred to in the report. 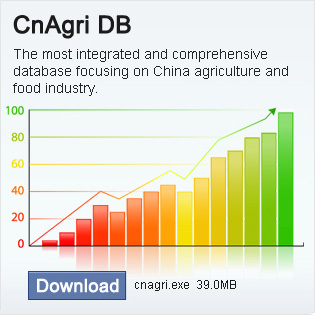 This report is based on the data and information as provided by State Statistics Bureau, Ministry of Agriculture, China Customs, futures and spot enterprises and BOABC industrial database and has made the detailed analysis on the upstream and downstream products of rapeseed industry in China with the purpose of clarifying the development prospects of the rapeseed industry in China.